The SkylinkHome PL-318 Plug-in On/Off/Dimmer Receiver allows you to plug in lights and electronic devices such as lamps, fans, radios and more to control. Works with SkylinkHome Remote Transmitters (Sold Separately) A total of 8 remote transmitters can be paired to each PL-318 dimmer. You can also set the dimmer receiver to a countdown timer and have it turn off automatically after 5, 30 or 60 minutes. 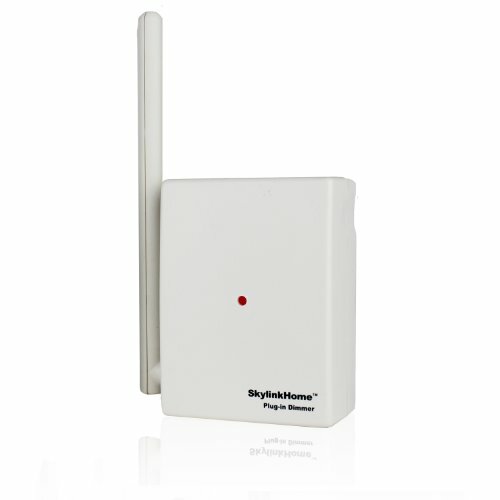 After the receiver is properly installed and programmed to a transmitter, you will be able to wirelessly turn on and off, or dim and brighten connected lights. No wiring connection, just plug it in and pair the transmitter. Easy DIY Installation. Works with incandescent and dimmable CFL bulbs. Great solution for those needing the ability to control a plug-in device. Requires SkylinkHome Local Remote Transmitters to work or SkylinkNet Internet Hub to create wireless remote home control applications. Long operation range up to 500 feet. View More In Home Automation Devices. If you have any questions about this product by Skylink, contact us by completing and submitting the form below. If you are looking for a specif part number, please include it with your message.